The federal government is investing $2.6 million in the building of Sustane Technologies Inc.'s waste recycling demonstration facility in Chester. 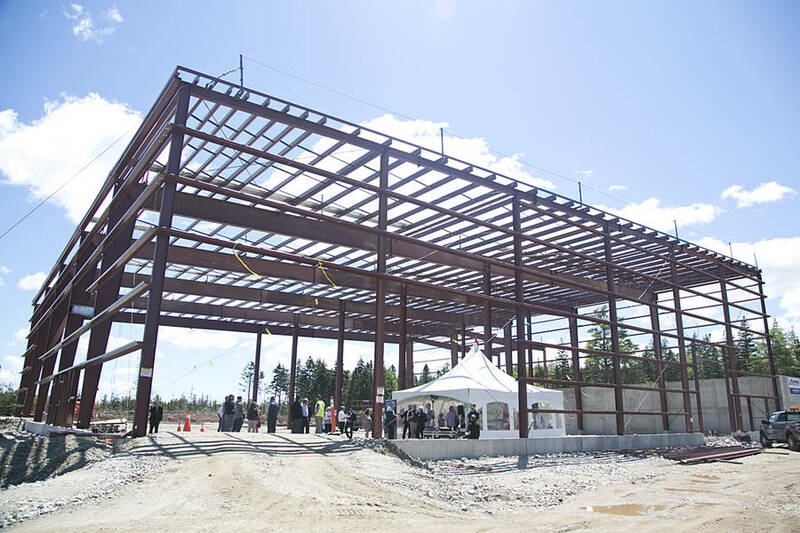 Bernadette Jordan, MP for South Shore - St. Margaret's, made the announcement July 26 under the metal skeleton of the plant's future site. "Innovation doesn't just happen in big cities, it happens in every region of this country," said Jordan at the announcement. "The Sustane team understands that Canada doesn't have to choose between a healthy economy and a healthy environment." The 40,000-square-foot plant in Kaizer Meadow is said to be the first of its kind. It's set to begin operations in early 2018 and will handle garbage from the Chester area as well as other communities in Lunenburg County and Annapolis County. Garbage from the two counties will be shipped in, separated and recycled. Over 90 per cent of the garbage sent to the plant will be recycled, creating diesel fuel as well as biomass pellets, both of which, Sustane says burn cleaner than other sources. The little that's left will go to the landfill for now, but the goal is to keep garbage out of landfills entirely. Biomass pellets are already promised to Emera Energy for the biomass plant in Brooklyn, Nova Scotia. 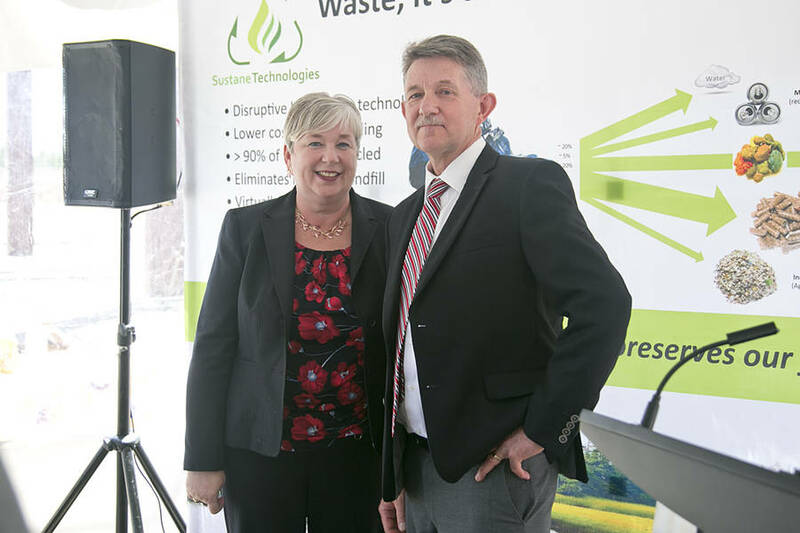 Peter Vinall, co-founder and CEO of Sustane Technologies, says although the project would have gone ahead without federal funding, it is a welcome investment. "It comes at just a great time for us, we're in the ground, we're building the plant, this is going to help us complete the plant and we should be operating in the new year, we're looking forward to it," said Vinall, speaking to LighthouseNOW after the announcement. "We are fully financed for this plant." In its early stages Sustane won $100,000 in seed money during a competition through provincial crown corporation Innovacorp. The federal funding is coming from Sustainable Development Technology Canada, which works with Canadian companies to bring clean technologies in their early stages to market. The hope by Sustane, and the federal government, is to see more plants like this built in the future, eliminating much of the waste that goes to landfills now, usually in black bagged garbage. "We have got a lot of interest across Canada from Vancouver all the way to Newfoundland, lots of interest in what we're doing here, everybody is watching this facility," said Vinall. "The cost of landfilling is becoming so high in a lot of urban cities." The company has a contract with the Municipality of the District of Chester for 20 years and the facility will employ around 24 or 25 "highly skilled" people. "They'll be good jobs, technologist type jobs, some manager jobs, it'll be a 24-seven operating facility, so we'll be running around the clock," said Vinall. The company broke ground last March and equipment needed for the plant is currently being built in Spain, Germany and the United States.